Whether you are looking for a cost effective way to increase the value of your home, or perhaps you just want to extend your living space; whatever the reason, a UPVC conservatory from We-Fit will soon become a welcome addition. Why Should You Choose WeFitUK For Your New UPVC Conservatory? 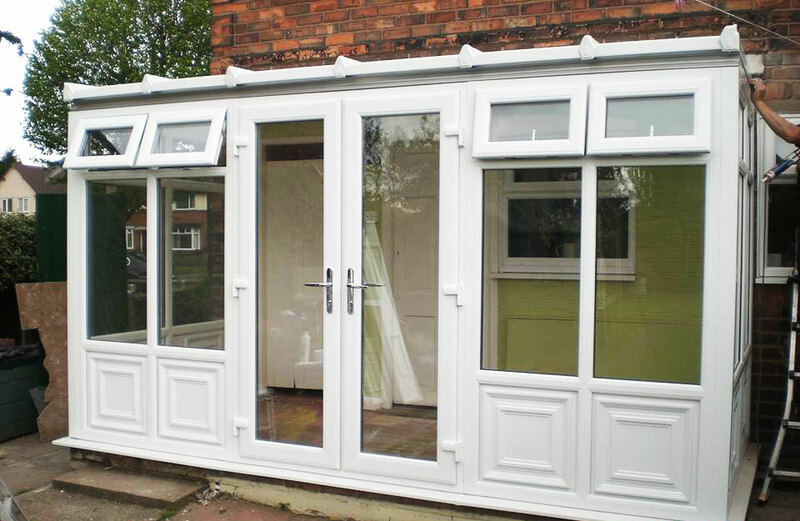 All our UPVC conservatory frames are manufactured right here in Birmingham using only TOP GRADE, modern materials. 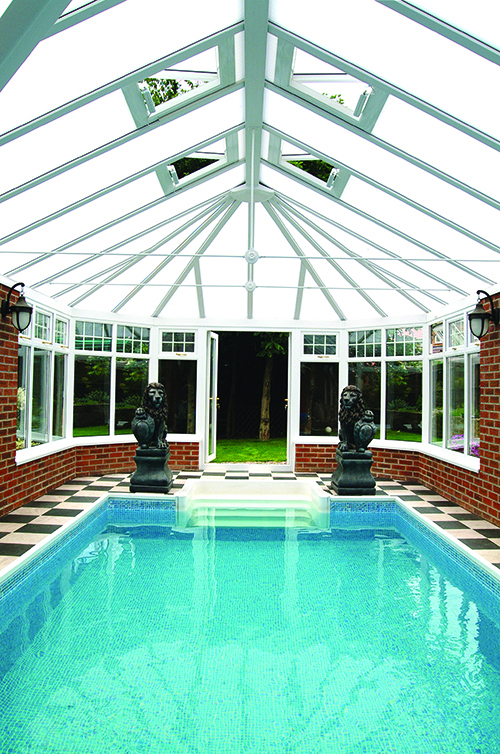 Limitless range to choose from ensuring you get a bespoke UPVC conservatory to suit your home! 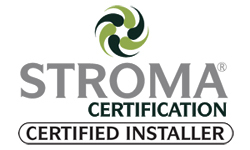 Our UNIQUE construction process is carried out by fully trained craftsmen who will respect your property at all times. Unheard of 15 year GUARANTEE on each UPVC conservatory we build giving you COMPLETE peace of mind. 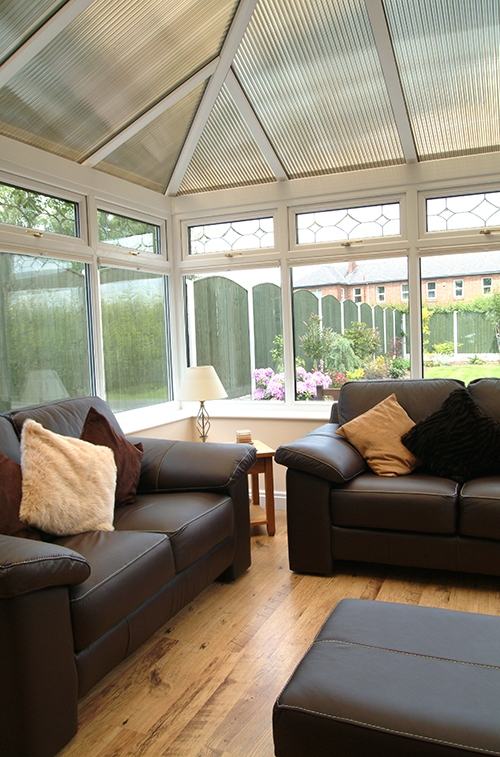 A UPVC conservatory is the perfect solution if you are thinking of extending your family home. Yes, investing in a conservatory can increase the value of your property when it comes time to sell up and move on, but it’s not just about that. It’s all about how the extra room it creates impacts on your life. Your new found space can be used as a place to escape from the kids or to enjoy a coffee or glass of wine on a winters night, and that’s something you can’t put a price on! 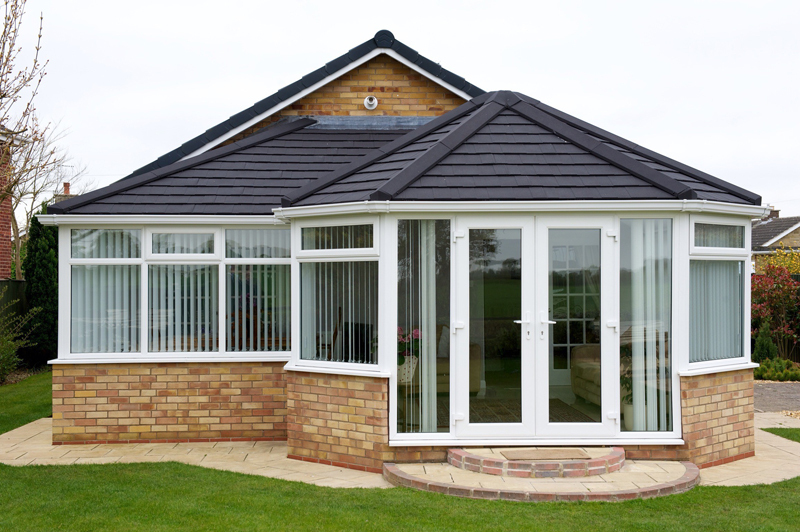 Investing your money on a new conservatory means you will be able to enjoy the pleasures it brings all year round. UPVC conservatories come in several styles, from modern looking designs such as a lean-to conservatory to something more traditional like a Victorian or Edwardian conservatory. You can even design your own UPVC conservatory incorporating numerous elements so that you achieve a bespoke and personalised home improvement. 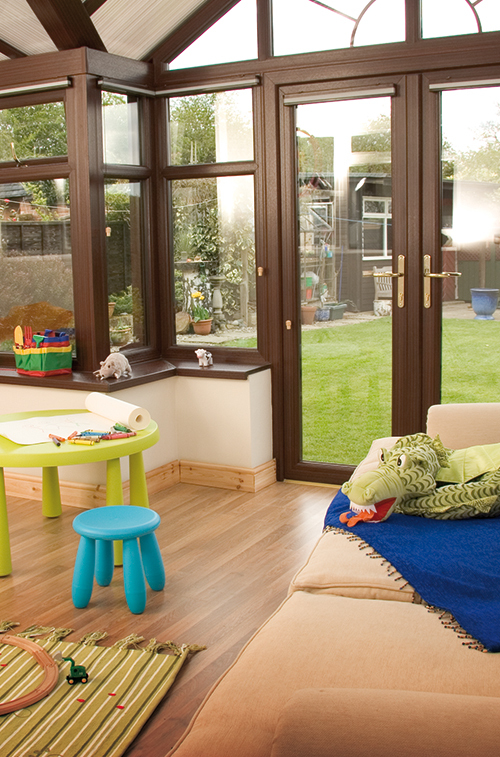 Imagine sitting in your new UPVC conservatory ENJOYING the view of your garden while the kids play happily outside. Then imagine that you never have to worry about whether you’re going to get too hot in the Summer or too cold during the Winter months. Our unique ECO glass means you can do just that! And of course, it goes without saying that you’ll never have to worry about security issues either. All WeFitUK UPVC conservatories come with Yale high security Shootbolt locks, whilst any entrance doors are secured with high performance multi-point locking systems. 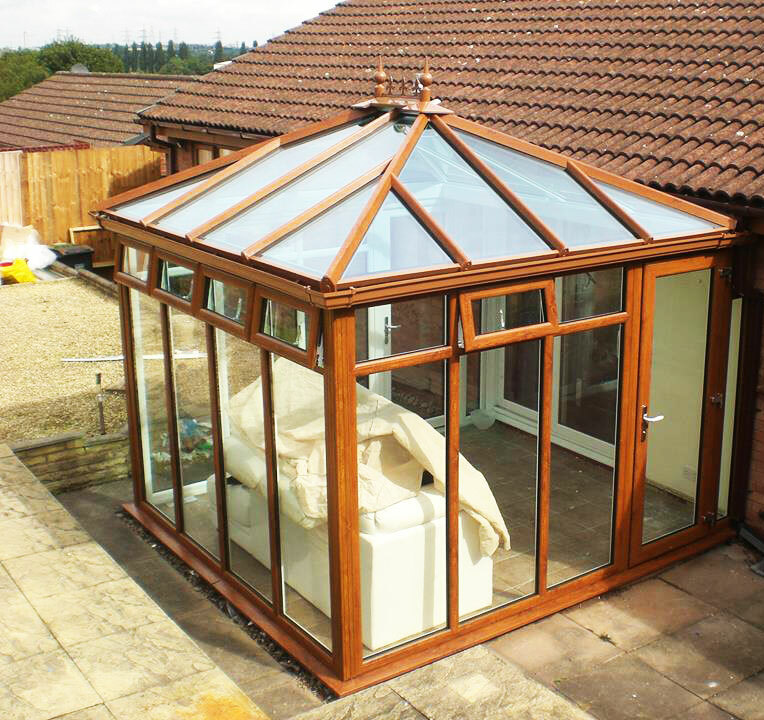 You can also forget about hefty maintenance bills, colour fading or warping too, because your new UPVC conservatory will come with a FULL 15 YEAR GUARANTEE so it stays looking good year after year. And if something does go wrong, you get complete peace of mind knowing we will come out to fix or repair the problem within 24 hrs. As a family run business who have been fitting UPVC windows, doors and conservatories for over 25 years throughout Birmingham, we take great pride in maintaining a long term relationship with ALL our customers. Which is why we never use any outdated sales tactics or sneaky methods to get you to buy from us. We’d rather rely on our reputation and service to do that. 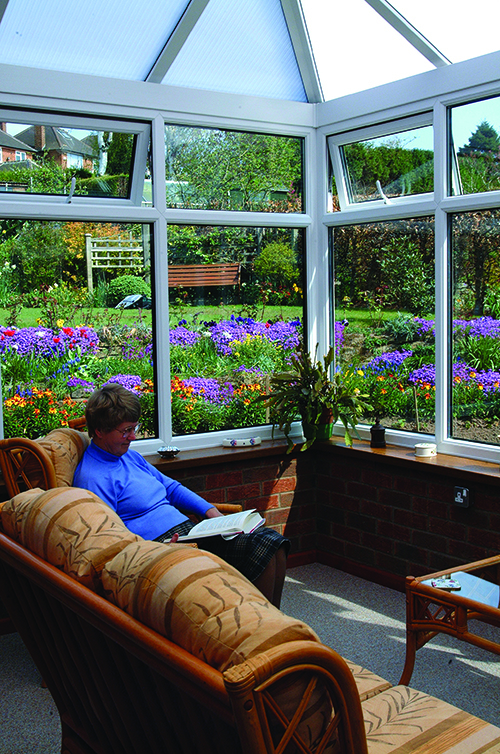 When you request a free quote and arrange an appointment with one of our friendly team to discuss your requirements, we’ll show you EXACTLY how your UPVC conservatory will look using our innovative software and you’ll be able to feel RELAXED knowing whatever price we quote will be the best possible price we can give you. AND… if you decide to go ahead with having your new UPVC conservatory built and fitted by us, we will ensure you get a low maintenance extension you and your family will be able to enjoy all year round, for MANY years to come!